Through multi-channel video projections and sound, Lucier captures the many contradictions of life in the contemporary Great Plains. She celebrates the beauty and harshness of the landscape by focusing steadily on the endless horizon and long, lonely roads. She finds the tension between the history and the present, and underscores the pull of nostalgia against reality. She explores abandoned churches, schools, and homesteads. 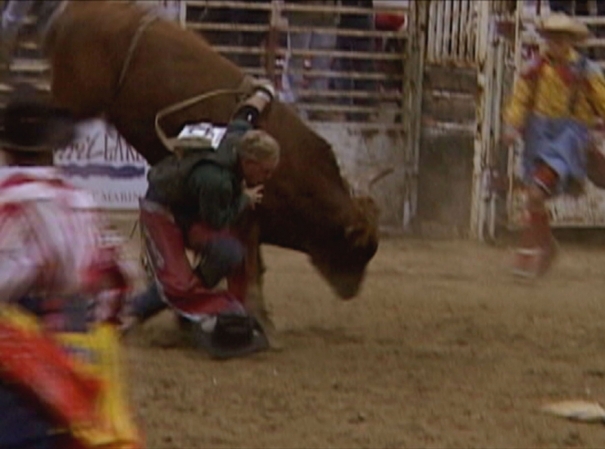 Lucier’s scenes of contemporary life in North Dakota include cowboys at the Devils Lake rodeo, massive farms, and ranchers tending to their cattle including the birth of a calf. Lucier continually draws attention to intimate details from the lives of individuals who inhabit a landscape still filled with the relics of the past. These people live with the old buildings and abandoned objects while tending to their immediate responsibilities and needs. Mirroring the boom-and-bust cycles since white settlement began in the late 19th century, economic changes have been met by the inhabitants of North Dakota with resilience, resignation, and even the hope of opportunity. Working with her long-time collaborator and composer Earl Howard, Lucier shaped the sound of the installation to evoke both the difficulties of the economic realities and the vastness of the northern plains. Their synthesized chords are plaintive and melancholic, leaving us to ponder forces much greater than ourselves. Lucier ends her work with George Strait’s western ballad “I Can Still Make Cheyenne.” With the news that his wife has left him, a cowboy clings to a furtive hope for something better far away from his home. The Plains of Sweet Regret honors the people who face such difficult decisions every day and reveals the slow cycles of life on the Great Plains. Organized by Tacoma Art Museum in a new, all-digital edition. We gratefully acknowledge the generous cooperation of Mary Lucier. Mary Lucier, The Plains of Sweet Regret, 2004. 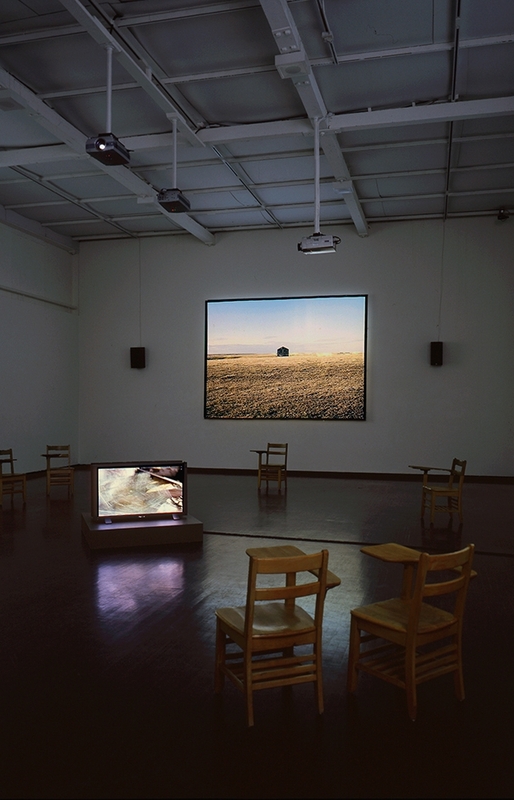 Five-channel video/sound installation employing five video projections and vintage school chairs. Eighteen minutes, continuous repeat. Courtesy of the artist. Originally commissioned by the North Dakota Museum of Art.